West Windsor, NJ: Mercer County Community College’s Board of Trustees will honor an alumnus and two community partners at its annual Open House and Report to the Community on Thursday, Nov. 11, 4:30 to 7 p.m. at the Conference Center on the West Windsor Campus, 1200 Old Trenton Road. The event is free and the public is invited. 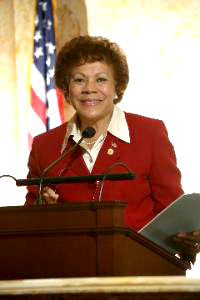 During an awards presentation at 6:30 p.m., the college will present the 2010 Alumni Leader Award to State Trooper Steven Foster, the Partner in Learning Award to State Senator Shirley Turner, and the Corporate Partner Award to Waste Management of New Jersey Inc.
Steven Foster of Hamilton, a 2000 graduate of MCCC, will be recognized for his heroism. On March 28, 2009 Foster spotted flames as he drove his police car onto Interstate 295 in Hamilton and saw that a car had crashed into the woods. A fire was burning in the engine compartment and the car was flipped on its side. Foster ran to the scene and pulled a disoriented man out of the car. Minutes later, the entire car was engulfed in flames. He has received a Valor Award from the 200 Club and a yellow ribbon from the State Police. Another special gift was a thank-you call from the mother of the man whose life he saved, a father of two young children. Mr. Foster began his education at MCCC, earning a degree in Biology, then transferred to Stockton State College, where he earned a bachelor's degree in Environmental Science Studies. 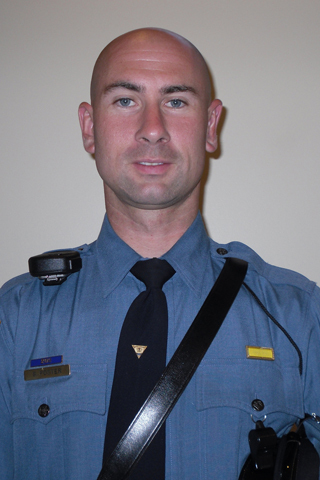 He then pursued his long-time interest in becoming a state trooper, and in 2008 his goal became a reality. Mr. Foster remembers his years at MCCC fondly, and notes that the college runs in his family as his mother, Susan Serinese, and his grandmother, Josie Schaible, are also MCCC graduates. A former Trenton public school teacher and EOF counselor to disadvantaged youth, Senator Shirley Turner of Lawrenceville has demonstrated a lifelong commitment to education and young people. She has worked to protect NJ STARS legislation, which allows high-achieving students to attend two-year and four-year state colleges at no or significantly reduced cost. As chair of the Senate Education Committee, she has overseen legislation to improve education for children in primary and secondary schools. She has recently worked with the Department of Education to expand school choice and to enhance scholarship opportunities. Senator Turner’s legislative focus has incluced working to enhance the health, safety, and well-being of New Jersey’s children, strengthening families, promoting public health, developing and supporting small businesses, and fostering economic production and job growth. The legislation she has sponsored reflects the needs and interests of her diverse district, which includes Ewing, Hopewell, Lawrence, Pennington, Princeton, and Trenton. Corporate Partner Awardee: Waste Management of New Jersey Inc.
Over the past year Waste Management, headquartered in Trenton/Ewing, has partnered with Mercer County Community College’s Center for Training and Development to provide training for nearly all its employees in New Jersey, with substantial funding from the New Jersey Department of Labor and Workforce Development. Hosted at MCCC’s Conference Center, the training includes English as a Second Language, Survival Spanish, Change Management, PC Skills, Presentation Skills, and Leadership Skills. Trainees ranged from front-line workers to senior level management. Waste Management of New Jersey Inc. employs just over 1,400 in the state. Its five major areas of operation are collection, transfer, disposal, recycling, and renewable energy. The company’s goals over the next decade are expected to contribute substantially to green jobs in our area. They plan to double waste-based energy production, increase the volume of recyclable materials, direct capital spending toward increasing fleet efficiency and reduced emissions, and preserve and restore wildlife habitat. MCCC’s Open House will feature information about the college’s credit and noncredit programs, transfer, financial aid and more. On-site course registration will be available. Guests will enjoy interactive displays, the college Jazz Band, chair massages, video presentations and refreshments prepared by culinary students and staff. MCCC’s professional radio station, “Jazz on 2,” will be broadcasting live. The event is designed for all who are interested in educational credit and noncredit opportunities, including potential students of all ages, parents, alumni, teachers, guidance counselors, community partners, representatives from businesses and governmental organizations. Pre-registration is requested but not required. To register click here, or call 609-570-3613.